When the wash-and-fold laundry near her apartment closed in May, Eve Batey decided to make her move. "I would pass it every day and think, 'I wonder what's going to go in there?'" said Batey, who's lived in the Outer Sunset since 2000. Since 1952, this storefront has operated as a laundry/dry cleaners. 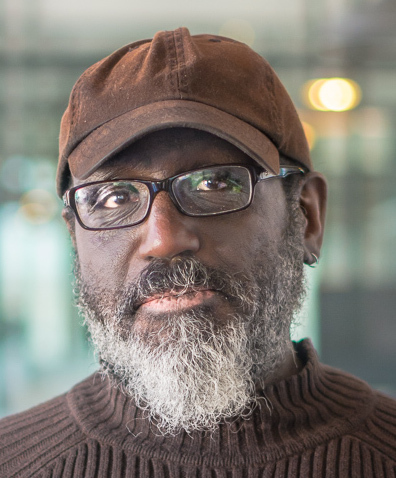 Batey, a journalist who helped launch SFist and has also held editorial roles at the Chronicle and Appeal, called the realtor and secured the space. For several weeks, she spiffed up the cozy storefront at Irving & 42nd Ave., now known as Avenues Dry Goods. "The idea is to have things that are useful and practical—but also fun and at a price point that's appropriate for the neighborhood," she said. The store's inventory is growing, but customers who wander in will find a wide variety of everyday items, most of which are made in San Francisco. Most of the shop's current inventory is made locally. Batey and her husband, Tim Ehhalt, design and silk-screen their own T-shirts, but she's also working with local makers like Jessica Yamasaki of That's Good Paper to stock notebooks, greeting cards, bags and more. In a corner, a wooden box with drawers serves as a local seed bank, a service Avenues Dry Goods offers in partnership with Heirloom Bay, "a nonprofit gardening consortium," said Batey. The group also supplies her with succulents and air plants, which thrive near Ocean Beach. Batey removed old linoleum flooring to prepare the space. Prints by a local photographer are mounted on the wall above a table with cruelty-free messenger bags and leashes made from discarded climbing ropes. "Part of the proceeds go to rescue dogs," said Batey, who's seeking more makers and crafters. "Most of this stuff is made in San Francisco because the people I talk the most to and connect with happened to be from here," said Batey. "I would love to work with makers and craftspeople from where I grew up near Indianapolis, but it's been a very short window from when I found the place to when I opened," she said. Batey said window displays will update constantly to catch neighbors' eyes. "I want it to be fun and interesting for people in the neighborhood, and not just for people who are walking by, visiting or coming out here to go to Outside Lands," said Batey. During our interview, a neighbor pops her head in the door to ask after the former tenant. When Batey explains that she retired, our visitor wishes her the best and departs. "I have talked to more people in the month and half since I started working on this space than I have in the whole time I've lived out here," said Batey. "It says something about urban living that you don't talk to people every day, so that's been really exciting for me to suddenly meet all those people." So far, "everyone in the neighborhood who has stopped by has been enormously supportive," said Batey. "Even if this place tanks—which it won't, I hope—that is so gratifying." Avenues Dry Goods is located at 4120 Irving St. between 42nd and 43rd avenues. and is open from 11am to 6pm on weekends. To contact the store, call 415-841-2870 or email hello@avenuesdrygoods.com.